HomeBootlegBootleg: “The Quantum Apocalypse” from Bloodshot Dawn! Bootleg: “The Quantum Apocalypse” from Bloodshot Dawn! Filmed at Trillians in Newcastle on 4th March, here’s Bloodshot Dawn performing “The Quantum Apocalypse”. 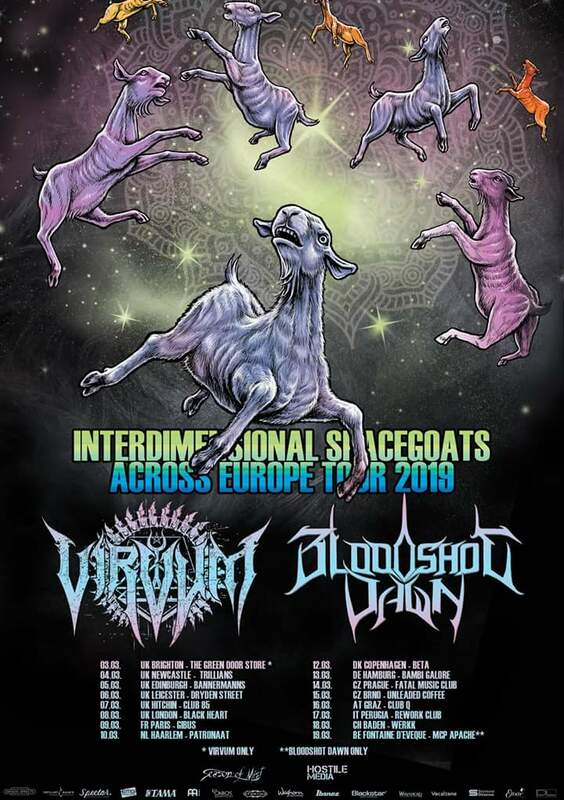 The footage was captured on their tour with Virvum, entitled “Interdimensional Space Goats Across Europe”… No idea? Us neither. Bootleg: Philip H. Anselmo and The Illegals “Walk” in Argentina! Bootleg: Pro-Shot full set from Stick To Your Guns live at Chain Reaction! Bootleg: Trivium full set from Bilbao!